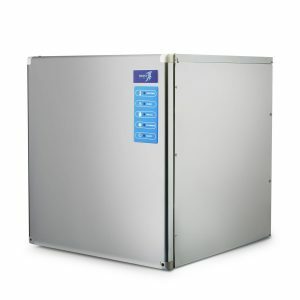 The HD30M Frostline ice maker and dispenser provides industry-leading quality and innovation. Improved drip tray depth will accommodate most sizes of hotel bucket. Equipped with a three meter (11 foot) power cord. 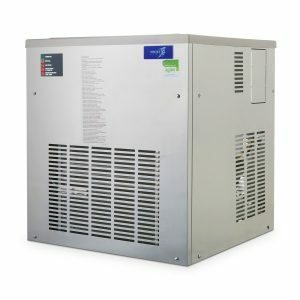 Foam insulation is forced between the dispenser’s stainless steel panels and liner under heat and pressure to form a perfect ‘wall-to-wall’ bond, preserving ice supply for longer periods. Height: 1350mm (1400mm with legs). The HD30 ice maker and dispenser allows you to easily dispense frozen cubes while maintaining the highest standards of cleanliness. 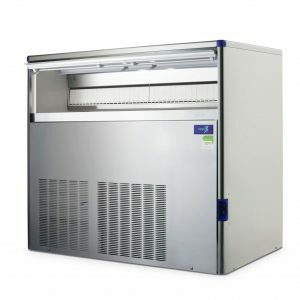 The European design ensures that ice can be dispensed without handling the product making it suitable for a range of industries including hotels, construction sites, mining sites and hospitals. These HD30 bins are best coupled with our Frostline IM225, IM325 & IM545 modular cubers, which will provide a production of over 190KG over a 24-hour period. 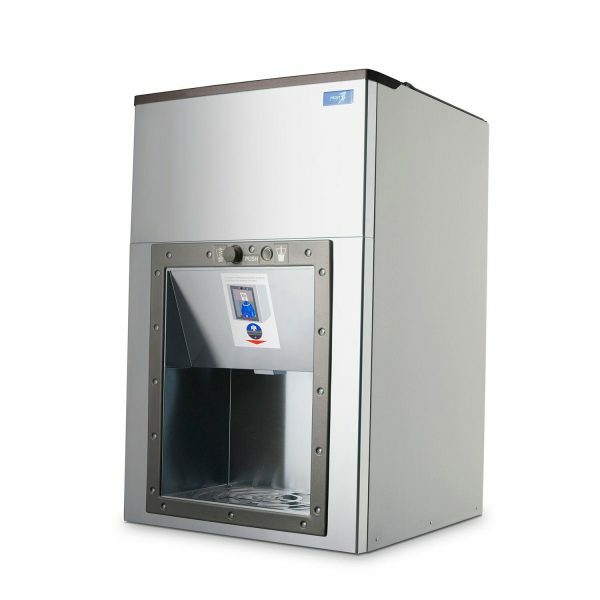 The HD30 ice maker and ice dispenser is proudly branded by us, coining us the experts on your machine. 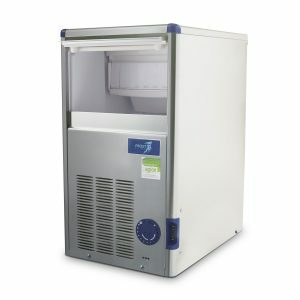 Frostline Australia has over 20-years’ experience in providing leading refrigeration solutions. All new dispensers come with a two-year warranty as well as complimentary on-site parts and service support during this period. The HD30 dispenser bin is compatible with the Frostline IM225, IM325 & IM545 models of cuber. In addition to the HD30 dispensers, we also have a great selection of other products for your consideration, don’t delay looking into what Frostline can do for you!